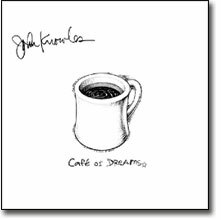 John Knowles is a Grammy winning guitarist/composer/arranger whose work has been recorded by Chet Atkins, Jerry Reed, Liona Boyd, the Romeros, and James Galway. 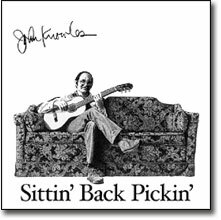 Now John has released his classic Sittin' Back Pickin' LP on CD. Having this landmark collection of fingerstyle solos available again is great news, but it gets betteras bonus tracks, John has added all seven Jerry Reed solos from his knockout Heavy Neckin' book. Most of our visitors already own these two great books, and will welcome the added convenience of CD tracks. You'll get every tune from both the Sittin' Back Pickin' and Heavy Neckin' books, as well as John's performances of Vincent and Bridge Over Troubled Waters. For those you don't own these (now out-of-print) books, beg, steal. or borrow to get them. They're really that good! We've got our fingers crossed that someday John will find time in his busy schedule to reprint them. Our very highest recommendation! Would you like information about John Knowles' FingerStyle QUARTERLY? John's back with a great new CD of his most recent guitar solos. As always, John offers a variety of original compositions and fingerstyle standards, all beautifully performed. Includes a new performance of Chihuahua Waltzfor this recording John adds some unusual harmonics to this popular solo.